Since they were founded in 1874, the Swiss master watch creators of Piaget have been renowned for their next-level innovation, as well as their skilled craftsmanship, in the world of luxury haute joaillerie. Still crafted in their legendary La Cote-aux-Fees workshop in rural Switzerland, Piaget is renowned for creating timepieces that are ultra-thin, super-precise, and contain a number of cutting-edge innovations, all of which have changed the conceptions of what a watch can be. Boasting models with the flattest automatic Swiss movement technologies today, Piaget watches are unparalleled in elegance and quality, are available in rose, yellow, and white gold, in addition to pieces�?? ?such as those from the Possession collection�?? ?which are fantastically adorned with the diamonds of the highest possible quality. For these reasons and more, the staff at Merry Richards Jewelers is pleased to offer the latest and best in Piaget timepieces to their beloved Chicagoland neighbors and customers. 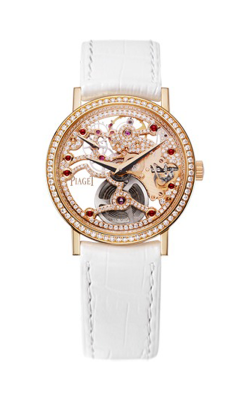 Why Buy Piaget Watches from Merry Richards Jewelers? Originally located in the historic “Jeweler’s Row", Merry Richards Jewelers has been the premier destination location for top-quality jewelry items in the greater Chicago area since 1985. Now in Oakbrook Terrace, Merry Richards Jewelers offers superior customer service, in addition to a perpetually growing inventory, of 100% genuine items by some of today’s leading bridal and fashion jewelry designers. Conveniently located near, Northbrook, Evanston, Northfield, Buffalo Grove, Hinsdale, Wilmette, and Clarendon Hills, the friendly staff at Merry Richards ensures the utmost satisfaction in all purchases, offering services such as free shipping, a 30-day return and exchange policy, as well as a lifetime diamond upgrade program, and complimentary cleaning, polishing, inspection, and appraisal on all items. Excited to bring the legacy of excellence that has defined Piaget for nearly 150 years to their customers, the team at Merry Richards Jewelers offers a multitude of Piaget timepieces from an array of various collections, all sure to contain the perfect watch to satisfy everyone. 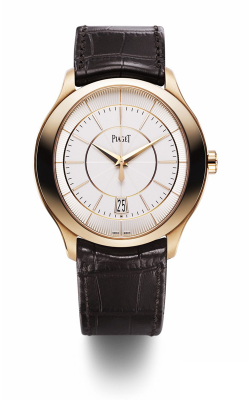 Popular collections of Piaget watches available include, the refined and ultra-thin pieces of the Altiplano collection, as well as the sophisticated designs included within the classic Piaget Black Tie collection. Additionally, for both men and women, the timepieces of the Polo and the Dancer and Traditional Watches collections offer understated watches that make bold everyday statements. Also offered by the staff at Merry Richards Jewelers, are the ladies watches of the Limelight and Possession collections, in addition to the stunning and unique designs of the Creative and Exceptional Faces collections, which include breathtaking pieces such as the Piaget Exceptional Pieces G0A34132 and the Piaget Creative Collection G0A37182, both of which are disarming pieces of unmatched brilliancy and inventiveness.